"I have been touched by angels. I have been blessed. And I have been humbled by this journey." 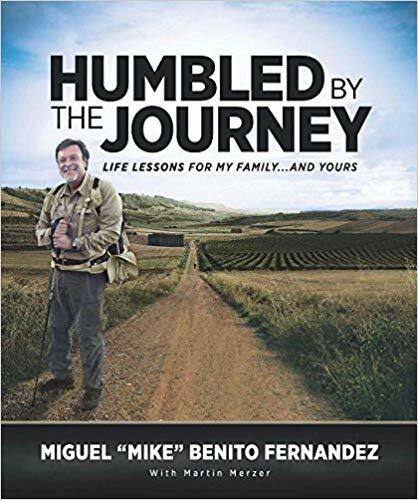 Last month, I presented the book Humbled by the Journey: Life Lessons for My Family... and Yours by Miguel "Mike" Benito Fernandez (with Martin Merzer)--or simply Mike Fernandez in a spotlight post, along with a giveaway for this book. This is my "official" review now, with a few more details and thoughts about this book, and a special feature as well, a very brief "interview" with Mike Fernandez. Published at the end of 2014, Miami businessman Mike Fernandez wrote Humbled by the Journey at the urging of his wife, Constance. In the book, we meet his beautiful family: his wife, Constance, his four sons, George, Alexander, Michael, and Cristofer, his daughter, Michelle, his parents, Lieba and Mario (Mami and Papi), his sister, Pilar (Pili), and his granddaughters, Stella and Daniella. This book is dedicated to Constance, and to the rest of Mike's family. Humbled by the Journey resembles a travel journal, complete with dated "journal entries" and photographs of the trip, and of his family. The book has an antiqued look and feel to it. Mike says he wrote this book for the sake of his children, and for those who follow them, so that they will know their history. Humbled by the Journey has a message for everyone: "You have to take care of those who come after you." This memoir provides the history of his family, and focuses on Mike's El Camino walking journey, from the French town of Saint-Jean-Pied-de-Port to Santiago, Spain. Why did Mike walk El Camino? When Mike's granddaughter, Daniella, was 19 months old, she needed open-heart surgery. Thankfully, her operation at Miami Children's Hospital was a complete success, and Daniella is fine. But while Mike was at the hospital, he met a mother in the waiting room who was worried about her child. This meeting changed Mike's life. After talking to this distraught mother, he realized that there are many others in the same situation, who have children needing health care that they can't afford. This became Mike's incentive to make the pilgrimage he'd been considering for a while, a 508-mile hike through France and Spain, to raise funds for that mother, and many others like her, whose children need treatment. "To me, God is goodness. God is doing good to and for others." Mike worked with a trainer, Victoria, in Utah, to prepare for his strenuous journey. 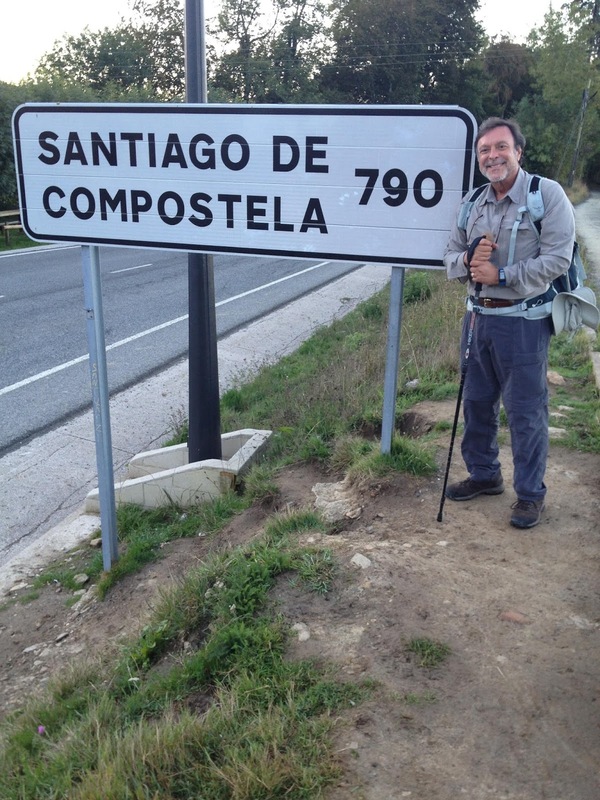 In 2013, Mike hiked along El Camino de Santiago (The Road to Santiago), with a pledge for every mile. He raised over $5 million for Miami Children's Hospital. The walk was also a way for Mike to concentrate on the sense of gratitude that he feels strongly. In spite of some health issues, including a bad back, Mike began his walking journey on September 22, 2013, a time of year when there are fewer pilgrims (those who walk El Camino are called pilgrims). Each year, the pilgrimage of El Camino is experienced by more than 200,000 people. Most make the trip from May through early September, during the dry season, but Mike and his friend, Cesar Alvarez (who walked for about a week), started their walk in late September. Together, they went to the office to get their special passports (which are stamped at each stop where pilgrims spend the night), and began their pilgrimage. "A new experience began when I took my first steps on the first day on El Camino. In the beginning days, my body wanted to quit after six or seven hours, and I would cover no more than 10 miles in tough terrain. Now, after three weeks, I can cover 20 miles a day, rest for the night and be ready for the next day with a smile." Humbled by the Journey is Mike's incredible story, in the form of a striking book. I truly enjoyed reading it, and imagined myself on this walking journey. While walking, everyone says buen camino, or good road, which means "have a safe pilgrimage". This book makes the arduous journey seem like a joy, and features pictures and descriptions of the hike, scenery, and lodgings. Throughout the book, Mike calls the journey rigorous and magnificent--I'm sure that it is! I love to walk, and perhaps one day, I will also walk El Camino, which I've been interested in since seeing the movie The Way (as mentioned before). Mike hopes his book will inspire others to achieve their dreams and to share their blessings. Blessed to be a blessing! In Humbled by the Journey, Mike refers to his walking journey, as well as to his journeys in life. As mentioned in my spotlight post, Mike was born in the rural town of Manzanillo, Cuba. During revolutionary times in 1964, his family was exiled from Cuba, when Mike was 12. They traveled first to Mexico and then to America, and soon moved to New York City. Mike desired to attend Xavier High School in NY, and worked hard to pay for half of his tuition. At Xavier, he met a very important mentor, Father Duminuco, who, in addition to his parents, helped Mike develop strong values and character. After high school, Mike studied architecture very briefly at the University of New Mexico, Albuquerque, then left college to enlist in the U.S. Army's 82nd Airborne Division in 1972. One day, he jumped out of a C-130 aircraft at 1,250 feet as required, but his parachute only partially deployed. Needless to say, he was greatly relieved when it finally did open fully, about 300 feet above the ground. The realization that he could have died that day gave him a new appreciation for and approach to life, which made him more productive and driven. Over the years, with passion and perseverance, Mike became a very successful entrepreneur, business owner, and philanthropist. Although Mike's study of architecture was quickly abandoned, ground will be broken in 2015 for Xavier's first new building in a half-century, the Duminuco-Fernandez Building. Mike calls himself fortunate to have led such a life, and is grateful for it. "I have always considered myself a good (if often lucky) salesman." This book also focuses on Mike's business philosophy. As mentioned in my spotlight post, Mike is a very successful businessman and entrepreneur. He founded MBF Healthcare Partners and Simply Healthcare Plans, and is a major benefactor to Miami Children's Hospital. His business partner and friend, NBA legend Earvin "Magic" Johnson, praises Mike and says that he's "honest, smart, caring and committed". Mike shares a lot of tried and true, valuable business advice in this book, his ideas and ideals. 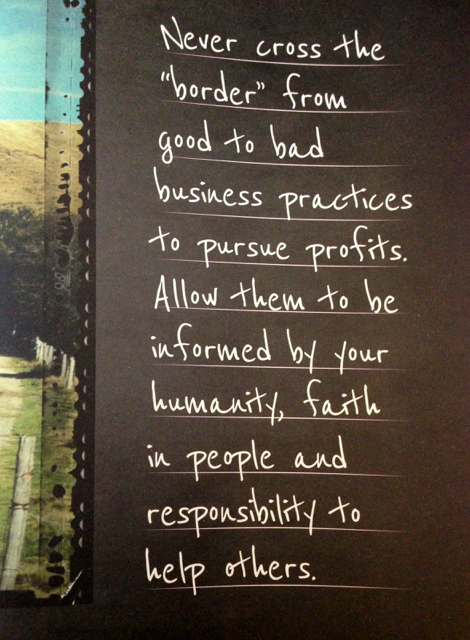 Chapter Six: Doing Good Business, Doing Good Work features tips for succeeding in business. Mike says that "every business deal has to be a win-win". I really enjoyed this aspect of the book, and Mike's philosophy of doing business in a helpful and honest way is outstanding. The tone of this book is honest, humble, friendly, intelligent, encouraging and inspiring. What a fascinating memoir, about an extraordinarily generous humanitarian! Although Mike has been extremely successful financially, he's down-to-earth, giving, and grateful. It comes across in this book. As mentioned in my spotlight post for Humbled by the Journey, all proceeds from book sales go to The Early Childhood Initiative Foundation, a nonprofit focused on early childhood education and “school readiness"--making high-quality health, education, and nurturing available and affordable for all children. The idea is simple yet profound: if children are nurtured at an early age, they will do better in the present and future, which will benefit everyone. 1. What was the most surprising thing about your 508-mile walking journey along El Camino de Santiago? MBF: The simplicity and civility we all met during the pilgrimage. On this magical path, with every step one takes, as you walk over 1000 year old Roman bridge, step on ground where soldiers bled in the fields of battle, forests which paths seem as if they were tunnels... One begins to find one's true self. Every hiker begins to take off "their masks". Under the weight of our backpacks our minds begin to synch with the sound of every step and the clinking of our walking stick as it bites the dirt we are traversing. After a few days, I began to see a new self. A simpler self. At this point each Pilgrim was much simpler, much more human. I had mentioned to one of my sons during a disagreement that " I am too old to change". I was wrong! A few weeks after I had returned home, we were enjoying a BBQ, a family gathering. He came close to me and said, " You were wrong". I asked, "What are you taking about?" He responded, "You did change on that walk". 2. Writing involves making discoveries. What did you discover while writing your book? MBF: As a former soldier in the U.S. Army, I often would hear a jump master, at the open door of an airplane say, " Life is like a parachute. It has to be open in order for it to work". As I look back at 30 plus years in business and 60 plus years of life, I recognize the importance of having an open mind. Of pragmatism. Thank you very much, Mike, for taking the time to answer my questions. Walking does seem to nurture our sense of simplicity and optimism. Being open to possibilities, yet practical--both are important characteristics in life. A pragmatic person is sensible, grounded, and practical. That describes you, Mike; you seem quite grounded and practical, although you've been extremely successful as well. You enjoy your journeys in life, and are both grateful and humble. I was honored to receive an early copy of Humbled by the Journey from Jessica Jonap, and it was my sincere pleasure to read your memoir. Thanks for reading! Comments are welcomed and appreciated. A very nice in-depth review of the book. Thanks for sharing. Wow, this book sounds like a very inspiring read. It's amazing what some people accomplish. And the author comes across as a person you want to meet and know more about. Thank you for stopping by! The book is inspiring in several ways. With so much negativity on the net and in the news Mike's story is very moving. It is interesting how these tales of "walking journeys" can incorporate such good ideas and wisdom. I like the fact that Mike employs some real ideas about values and decency into business. Ethics in the business world is important and deserves thought and attention. I also really like Mike's comments on change within one's self. I enjoy books about Pilgrimages. They are kind of a thing now and I can see the appeal to them. Sounds like a wonderful read. This sounds like an inspiring book. It sounds very positive. Thanks for your great review. I'm going to add this to my To Read list. Wow Suko, this sounds inspiring. The pilgrimage of El Camino must be an incredible journey to take both physically and spiritually. I like his comments on walking and finding his true self. This does sound very inspiring! Great review!